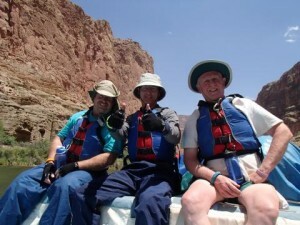 This was my fifth time taking the 6-day Grand Canyon rafting trip on the Colorado River. But this time I got to share it with my sons. As usual, everything about the trip was wonderful. The Western River guides, the scenery, the river, the food, what else can you say but that it was a great trip! Thank you to all the Western River staff for making this another unforgettable trip.